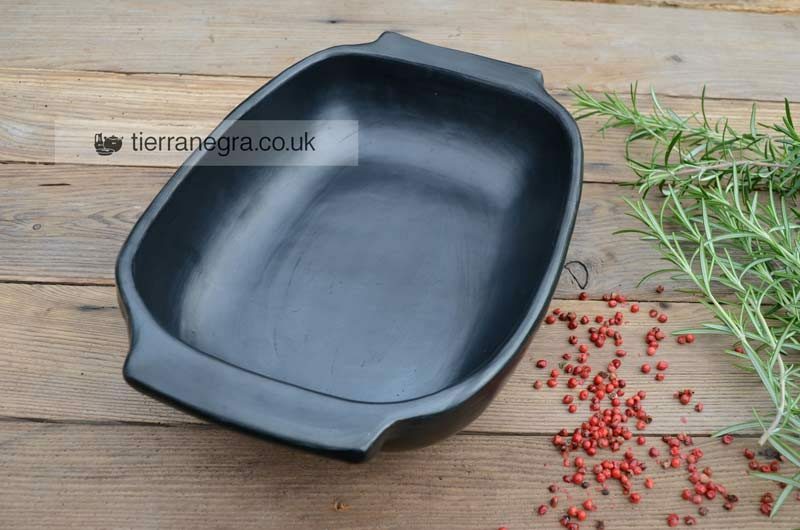 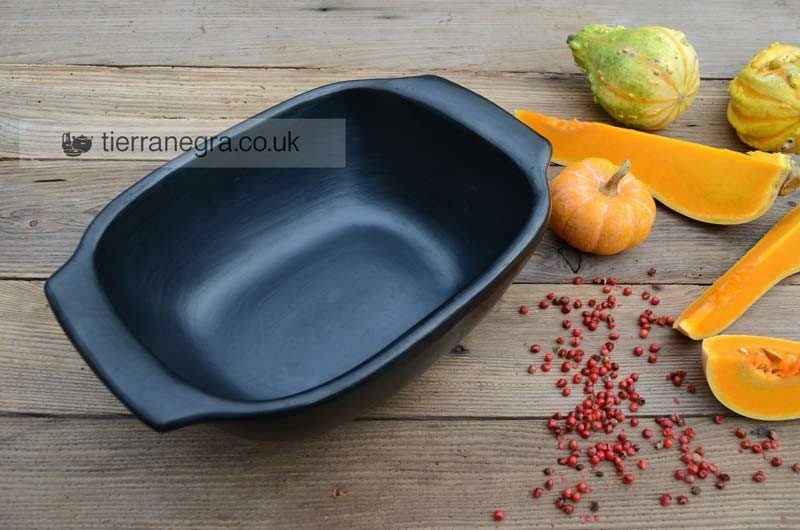 With wide easy-grip handles, this handmade ceramic pie dish and roaster is the perfect oven-to-tableware for savoury or sweet pies and crumbles, and ideal for roasting vegetables and meat. 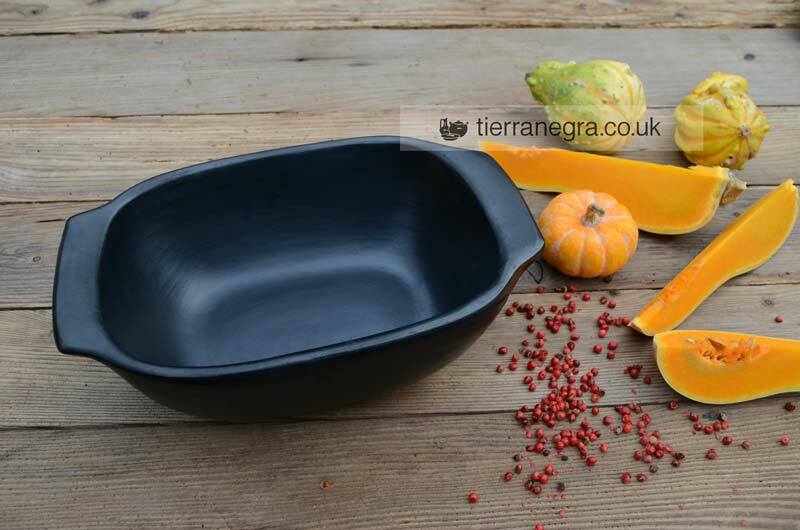 An organic product, made only from naturally-occurring clays, each dish is skilfully shaped by hand and polished with smooth pebbles of semi-precious stones like Tiger’s Eye. 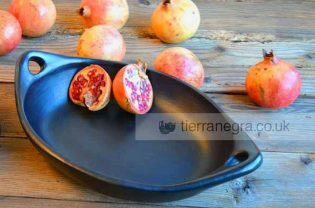 All tierra negra® cookware has a natural clay glaze that makes it safe to use both in the oven and over direct heat on the hob. 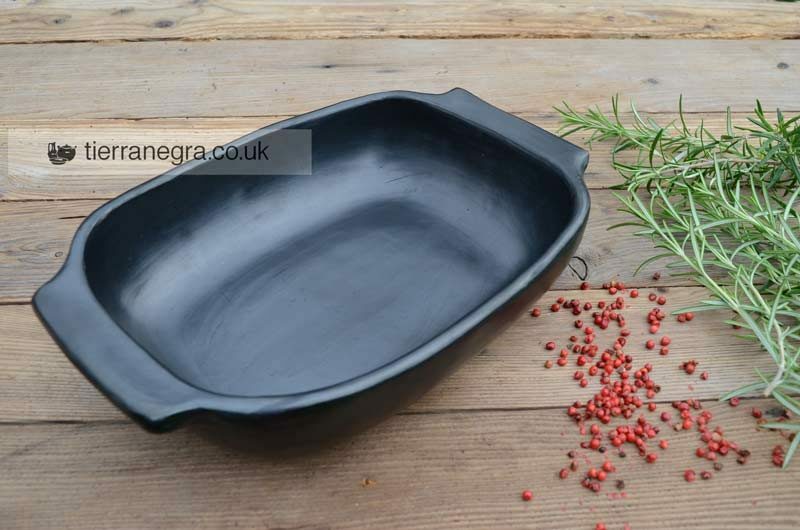 With a black satin finish, it is beautiful, tactile and unique. No two dishes are exactly the same and the larger dishes, like this one, require considerable skill to shape and polish. 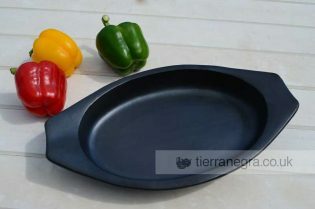 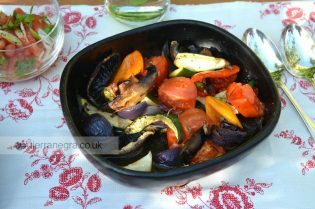 All tierra negra® cookware can be used in the oven as well as over any direct source of heat, including an open fire. 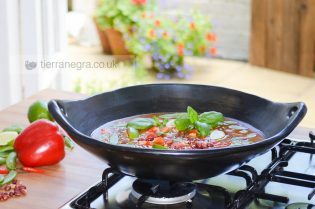 Cooks love it because it enhances the flavour of the food.